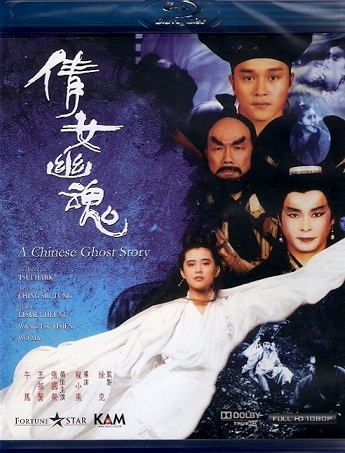 A Chinese Ghost Story is a well-made fantasy movie that is considered a Hong Kong classic. I like this film, but I prefer more the horror-comedy and/or fantasy Hong Kong films such as Spooky Encounters, Zu Warriors on the Mountain, and Green Snake. This is a highly entertaining and surprisingly charming film thanks to the chemistry and acting skills of Leslie Cheung and Joey Wang. It’s almost sad watching this movie – even though I was never a Leslie Cheung fan, he just seemed like such a nice modest guy and it’s hard to watch him now knowing that he killed himself. The chemistry between Leslie and Joey is really great, it really seemed like they loved each other in this film. This movie is like a wacky romantic, martial arts version of The Evil Dead. I definitely prefer this movie over The Evil Dead though. The special effects are just awesome in this film. The more I see the overkill of CGI and the lack of actually building sets in current movies, the more I appreciate older films with dated special effects. I would have never thought that the “datedness” could be reversed thanks to the technology-reliance overkill in today’s special effect films. I have never seen previous DVD versions of this film, but this K & R blu-ray seems like the best video version out there with English subtitles. For an old movie from Hong Kong and in comparison to other older Hong Kong movies released on blu-ray, the video quality on this blu-ray ranges from fair to excellent. The day scenes are bright, clean, eye-popping (for a HK blu-ray). Since this movie has a lot of night scenes, I was worried that the video quality would be a distraction, but the dark scenes are handled fair to good. Once in a while, the scenes can be extremely grainy (probably as it originally was) and then jump back to no grain. The video itself is pretty much clean with no scratches or weird hairs popping up (as were on the Forbidden City Cop blu-ray). As I was watching this film, I’m thinking to myself, “yeah, the video quality is excellent if this was a typical well-made DVD,” but then I reminded myself that most DVDs of older Hong Kong films, whether it be a Hong Kong NTSC Region 3 DVD, a cut & dubbed USA NTSC DVD, or a UK Hong Kong Legends PAL DVD, usually had distracting video and audio problems. Once I reminded myself of the way those DVDs used to be, I realized that this K & R blu-ray of A Chinese Ghost Story is great and probably the best it will ever look. If it weren’t for all the dark scenes in this movie, I would rate this equally to the video quality of the K & R blu-ray of Armour of God 2, but it’s probably just a tiny step below that blu-ray. The main thing to remember is that you know you are watching a blu-ray when ever there are close-ups of the beautiful Joey Wang. Her face just glows on this blu-ray. That’s how I can really test the video quality of a blu-ray if I’m not sure about the video quality – be impressed with the detail of a beautiful woman’s face. I never experienced that when watching other attractive actresses in older Hong Kong films on DVD. This blu-ray really flatters Joey Wang. So that’s one way of realizing this blu-ray is a big upgrade! The Dolby TrueHD 7.1 audio should not disappoint purists, because this blu-ray does sound like a mono soundtrack with subwoofer action aka “1.1 Dolby TrueHD”! I hear “1”, but I’m not sure where those other “6” are coming from for it to equal a 7.1 audio! I don’t think the K & R company has ever studied a Criterion blu-ray. If they did, K & R wouldn’t be so embarrassed with labeling their blu-rays with mono or stereo soundtracks. I’m assuming that it would be shameful for one of their blu-rays to be labeled with a LPCM Mono, a LPCM 2.0, or a Dolby TrueHD 2.0 soundtrack. The extras are two interviews and a trailer. The English subtitles on this blu-ray is Chinglish at its finest. It would be nice if Hong Kong hired some native English speakers to do their subtitles already. You can understand the gist of the film, but the English subtitles are the most distracting thing on this blu-ray. A Chinese Ghost Story is a very cute film for the horror-comedy genre. 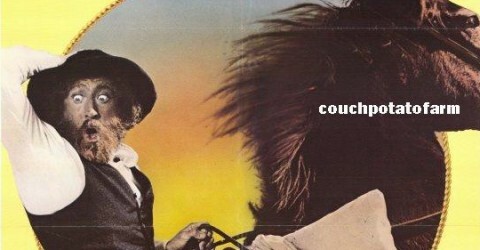 The love story is actually more exciting than the wacky choreographed violence in this flick. The wackiness is just a bonus that keeps things moving along. So this is another respectable blu-ray of a Hong Kong classic from K & R, the only blu-ray company that actually is doing more positive than negative with older Hong Kong films as compared to other blu-ray companies that release old Hong Kong films on blu-ray. You are right – there’s a blu-ray boxset that includes Chinese Ghost Story 1, 2, and 3. I’ve never seen the two sequels, so I have no idea if they are worth watching or buying.